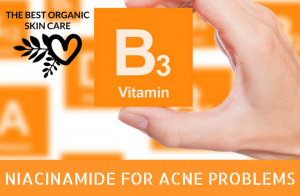 Niacinamide is also known as vitamin B3 and nicotinic acid. 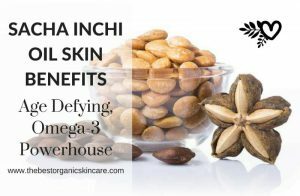 It is an effective skin-repairing ingredient that can increase skin hydration, brighten skin tone and improve skin texture, as well as making it less irritable. "In ageing skin, topical application of niacinamide improves the surface structure, smoothes out wrinkles and inhibits photocarcinogenesis. It is possible to demonstrate anti-inflammatory effects in acne, rosacea and nitrogen mustard-induced irritation." according to the British Journal of Dermatology in 2004. 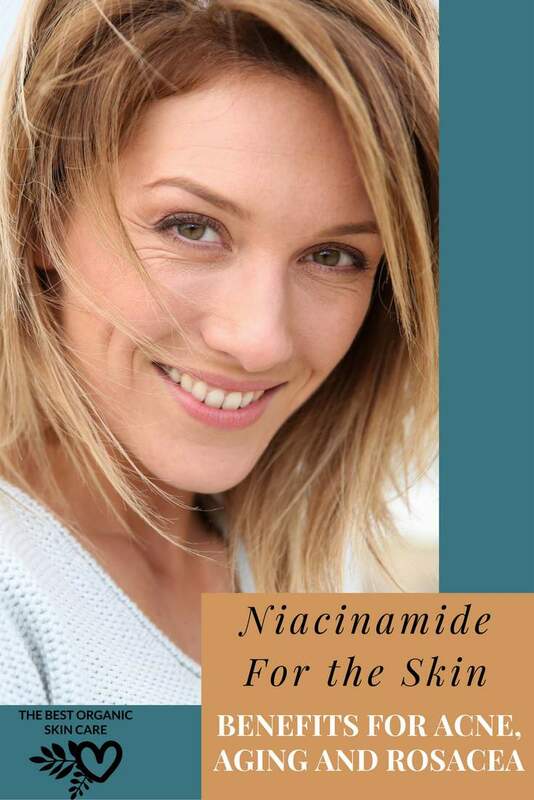 Applying niacinamide topically can have many benefits when it comes to skin care. It is often referred to as a cell-communicating ingredient, meaning that it tells cells to behave more like younger, healthier ones. Niacinamide is being studied for its effective use against acne, aging and rosacea, and it is showing promising results. An 8 week ﻿study was done in which subjects with moderate acne were treated with a 4% niacinamide gel. 82% showed a reduction in acne lesions and acne severity. The results were comparable to a 1% clindamycin gel. A turkish study showed similar results. Niacinamide may potentially reduce facial sebum. Clinical trials were conducted in both the US and Japan to study the effects of topical application of a 2% niacinamide moisturizer. The Japanese subjects showed a significant reduction in their sebum excretion rate, and the caucasian subjects showed a decrease in casual sebum levels. 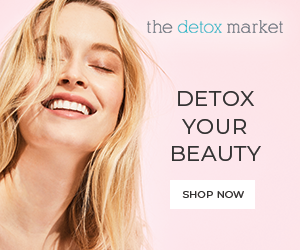 It has been s﻿﻿how﻿﻿n to reduce the appearance of fine lines and wrinkles by stimulating collagen production, as well as even out skin tone by slowing down the transfer of melanin to your skin’s epidermis. Wake Forest University scientists tested 50 people with rosacea. The study found that applying a niacinamide-based moisturizer twice daily for 4 weeks eased symptoms of this condition. The University of Pittsburgh’s Nicomide Improvement in Clinical Outcomes Study (NICOS) showed promising results. Most subjects reported an improvement halfway through the 8 week study. 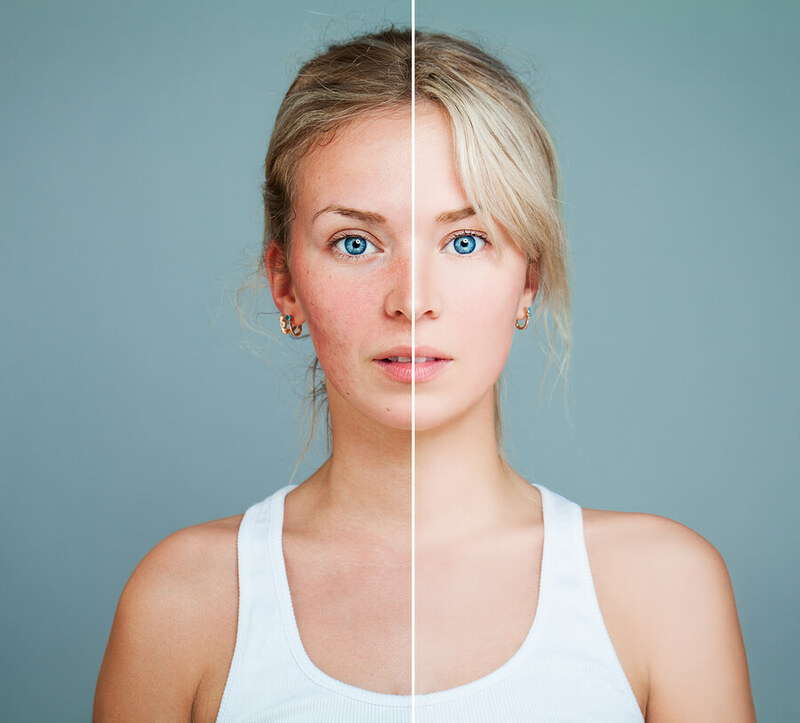 79 percent said their appearance was either moderately or much better and 55 percent reported a moderate to substantial reduction in rosacea lesions. A budget-friendly serum available on Amazon. It offers 5% Niacinamide, along with hyaluronic acid, avocado oil, and vitamin E.
You will love how this serum (which actually has a texture more like a light lotion) will help even out your skin tone and fight dryness and flakiness, all without breaking you out. --> Go to Amazon to learn more. 100% Pure offers exceptional products at good prices. You will love how well this serum absorbs, it does not leave a greasy residue. Your skin will feel smooth and look noticeably brighter - sometimes after your first use. This serum is filled to the brim with antioxidants including vitamin C, Niacinamide, Vitamin E, Coenzyme Q10, and Retinol. --> Find it at 100% Pure. We love that this serum is for all skin types, as well as the fact that it contains 10% Niacinamide, a hefty amount. It is also packed with high-quality, natural ingredients. You will enjoy the gel-like consistency of Marie Veronique's Soothing B3 Serum, it is no-fuss and great for layering with other products or makeup. --> Available at Credo Beauty. You will love how this serum sinks onto your skin, leaving no tacky feeling. The superior ingredients and wooden packaging are something you can feel good purchasing. As you can see, Niacinamide is showing promising results for acne, aging, and rosacea. It has a wide range of topical effects and is one of the few scientifically proven anti-aging ingredients. Have you tried a niacinamide cream or serum? Did you see results? Leave any questions and comments below. And if you liked this article, please share! 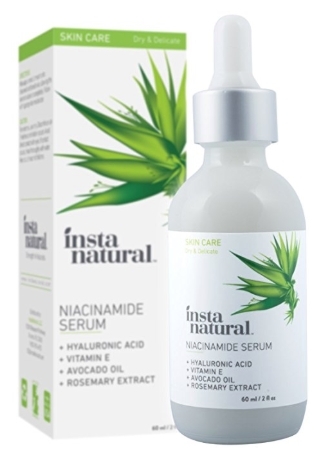 Niacinamide can also be used to lighten the skin. So many darker people are looking for creams that whiten their skin and Niacinamide seems to be a popular ingredient. Also, another great organic way to heal Rosacea is tumeric. That is so good to hear Nadia, thanks for sharing. 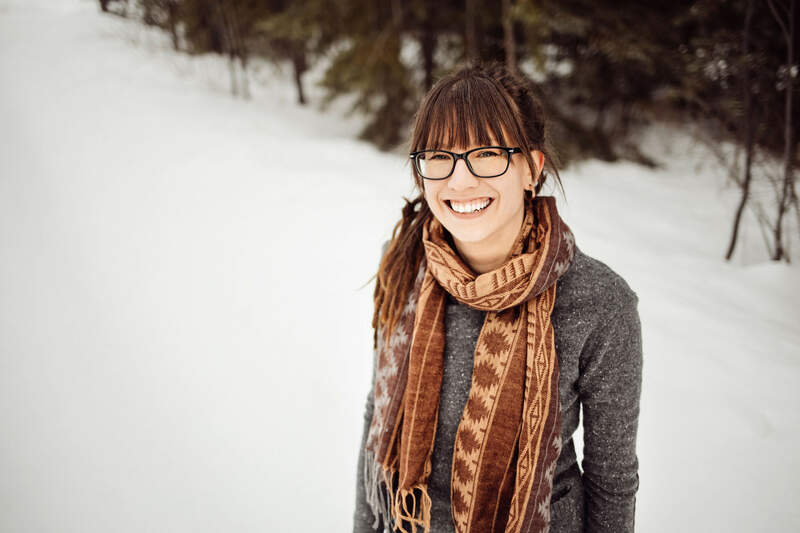 I used to have rosacea – people at work would say “wow – your face is so red today!” and I HATED IT. I had it on my cheeks and forehead and nose. I tried about 7 different products from Amazon. Some worked some did not. Now, for the last 2 weeks, I have only been using the Made from Earth Rosacea Set (which is their Green Tea Cleanser& Made from Earth Rosehip Serum). This product works. In about 2-3 days, my redness was almost completely gone, and these products did not inflame or sting at all. I think its because I was using steroid medication with a lot fo chemicals in it and my skin was having a bad reaction to them. With the Made from Earth products, no reaction at all, and now two weeks later, I do NOT HAVE A RED FACE ANYMORE. Thanks so much for your comment Simone 🙂 I am sure your recommendation will help people suffering from rosacea! 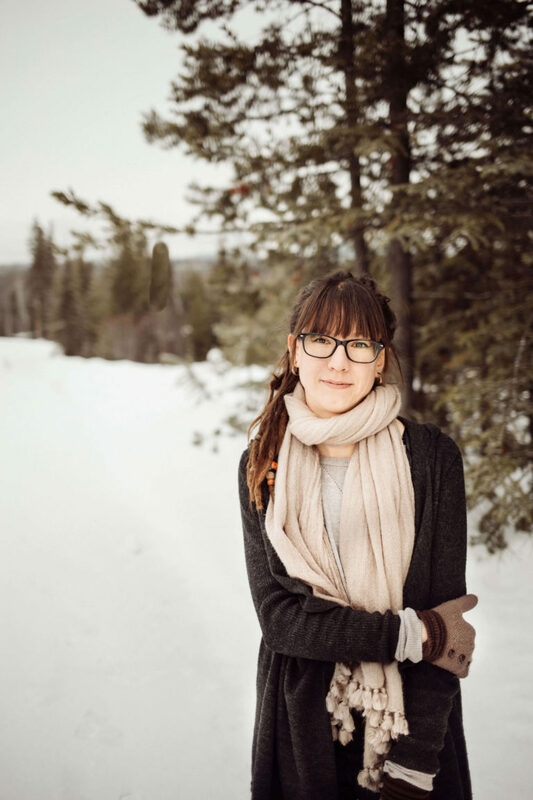 Hey there, thanks so much for this article! I’ve been researching niacinamide for a while because it seems like its such an amazing ingredient to have in your skincare routine. Hi Olivia, thanks for the kind words! 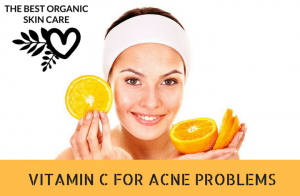 I have not come across this information regarding niacinamide and vitamin c not being compatible to be used together, but according to the article you are referencing, it doesn’t seem to be an issue. Hi Nora, you are right, this product is not available! Yes, I can recommend another one 🙂 I am going to update this article right now with a selection of our favorite products 🙂 Thanks for letting me know it isn’t available anymore!